I’ve been intrigued by Yotel since my first sighting two years ago in the Amsterdam airport. Fast forward to last weekend when I noticed a new Yotel façade with its 70s-style signage near Times Square, here in NYC. 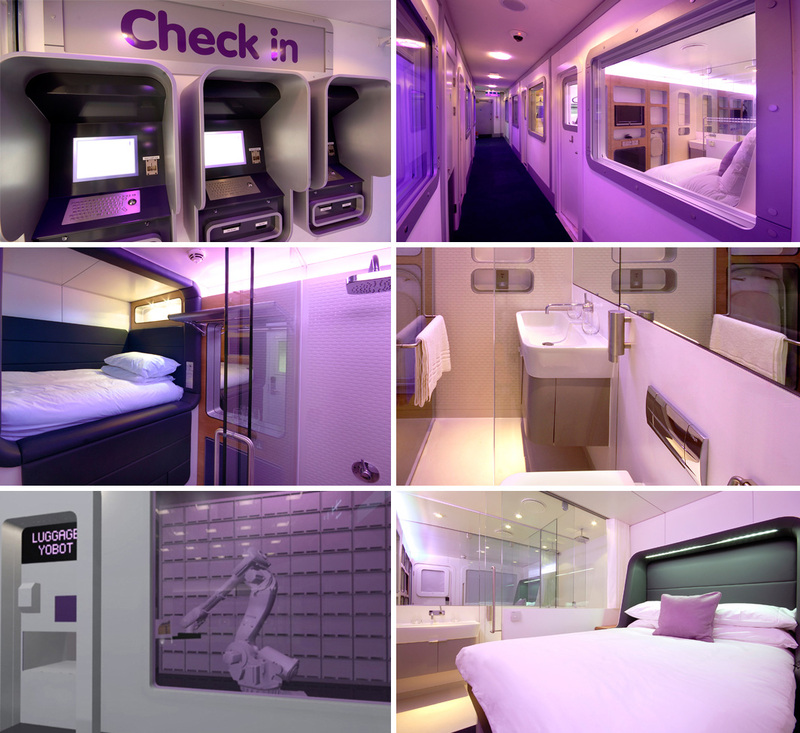 Turns out Yotel has three cabin-style airport hotels with cabins ranging in size from 75 sq.ft to 108 sq.ft and each comes equipped with wireless internet, flatscreen tv, fold-out desk, en-suite bathroom with shower and 24-hour room service. Oh, and a bed! All for about $50 for the first 4 hours and $12/hr for each additional hour for a standard cabin. In addition to the one in Amsterdam, there is one at Gatwick and Heathrow airports, in London. You can learn more at Yotel’s site. This entry was posted in Architecture, Just Plain Cool, NYC. Bookmark the permalink. the typical floorplan can’t have all that public space. how many of those cabins are on each of the upper floors? I have no idea. The building doesn’t look very large from the outside, so I’m sure it’s a lot tighter than it looks on the floorplan and the wide-angle video.